The Orchestre symphonique de Montréal Chorus was established in the 1980s at the request of Charles Dutoit. Composed of 50 professional singers and 80 to 100 volunteer singers, the Chorus has joined forces with the OSM for hundreds of performances of masterworks from the repertoire. Recent works in which the OSM Chorus has participated include Benjamin Britten’s War Requiem in May 2016 and Carl Orff’s Carmina Burana in September 2016. The OSM Chorus has been heard in Montréal, Toronto, Ottawa, New York, Philadelphia and Saratoga Springs in works as diverse as Handel’s Messiah, Bach’s Mass in B Minor, Beethoven’s Ninth Symphony, Verdi’s Requiem, Mahler’s Resurrection Symphony, Shostakovich’s Babi Yar Symphony and Dallapiccola’s Il Prigionero. In addition to singing under the direction of Kent Nagano and Charles Dutoit, the OSM Chorus has collaborated with such guest conductors as Nicholas McGegan, Zubin Mehta, Krzysztof Penderecki, Robert Shaw, Iwan Edwards (its director for some 20 years) and Andrew Megill, chorus master since 2011. Among the many OSM recordings on which the OSM Chorus can be heard, noteworthy are Berlioz’s Les Troyens, which was honored with a Grammy Award in 1996, and Holst’s The Planets, which received the Grand Prix du disque – Canada in 1988. Professional singers interested in auditioning for the Chorus are invited to get in touch with Sébastien Almon at [email protected]. Amateur singers are requested to submit their application to [email protected]. Andrew Megill is recognized as one of the finest chorus directors of his generation, and his repertoire, exceptionally vast, reaches from early to contemporary music. Andrew Megill has been chorus master of the Orchestre symphonique de Montréal since the 2011-2012 season. The Orchestre symphonique de Montréal and the OSM Chorus in Handel’s Messiah in December 2014. Many large-scale works, including: Britten’s War Requiem, Orff’s Carmina Burana, Honegger’s Jeanne d’Arc au bûcher, Beethoven’s Ninth Symphony and Berlioz’s Damnation de Faust. The American Symphony, the Cleveland Orchestra, the Dresden Philharmonic, the National Symphony and the New York Philharmonic. Pierre Boulez, Charles Dutoit, Rafael Frühbeck de Burgos, Alan Gilbert, Kurt Masur and Kent Nagano. Andrew Megill is director of choral activities at the University of Illinois. He has also served as associate conductor and director of choral programs at the Carmel Bach Festival, and as artistic director of the ensemble Fuma Sacra. 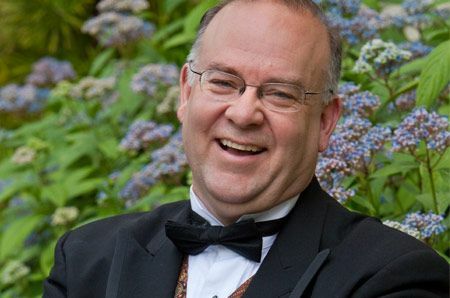 He has taught at Westminster Choir College and was guest conductor at the Yale Institute of Sacred Music. The work of Andrew Megill has been broadcast by PRI and by the BBC, and can be heard on a number of recordings, including Jon Magnussen’s Psalm on Albany Records, Haydn Masses on the Naxos label and works by Caleb Burhans on Cantaloupe. The position of chorus master is generously sponsored by Ms. F. Ann Birks in memory of Barrie Drummond Birks.